After this there was a feast of the Jews, and Jesus went up to Jerusalem. Now there is in Jerusalem by the Sheep Gate a pool, which is called in Hebrew, Bethesda, having five porches. In these lay a great multitude of sick people, blind, lame, paralyzed, waiting for the moving of the water. For an angel went down at a certain time into the pool and stirred up the water; then whoever stepped in first, after the stirring of the water, was made well of whatever disease he had. Now a certain man was there who had an infirmity thirty-eight years. When Jesus saw him lying there, and knew that he already had been in that condition a long time, He said to him, “Do you want to be made well?” The sick man answered Him, “Sir, I have no man to put me into the pool when the water is stirred up; but while I am coming, another steps down before me.” Jesus said to him, “Rise, take up your bed and walk.” And immediately the man was made well, took up his bed, and walked. And that day was the Sabbath. 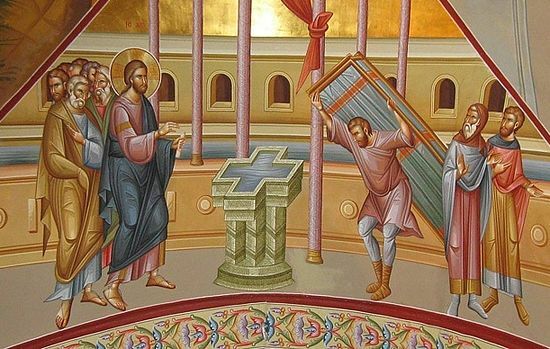 The Jews therefore said to him who was cured, “It is the Sabbath; it is not lawful for you to carry your bed.” He answered them, “He who made me well said to me, ‘Take up your bed and walk.’” Then they asked him, “Who is the Man who said to you, ‘Take up your bed and walk’?”But the one who was healed did not know who it was, for Jesus had withdrawn, a multitude being in that place. Afterward Jesus found him in the temple, and said to him, “See, you have been made well. Sin no more, lest a worse thing come upon you.” The man departed and told the Jews that it was Jesus who had made him well. This Gospel speaks about obeying God rather than looking for mere miracles/magic in one’s life, and not making rules and rubrics more important than God Himself. The Paralytic did not harden his heart but rather he heard God’s voice and obeyed for immediately he got up and picked up his bed. He chose to obey this voice which apparently he recognized immediately as God’s – and as the events unfold it becomes obvious that prior to this, this man did not listen to God’s voice. 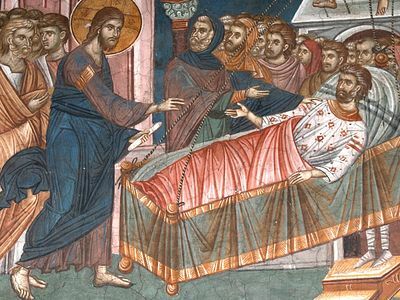 At the very end of today’s Gospel lesson, Jesus tells the healed paralytic, “Sin no more, lest a worse thing come upon you.” This seems to imply that the paralytic had gotten himself into the condition in which he was in and had suffered for 38 years. Somewhere in his life, he had made choices that had long term consequences. He had been ignoring God’s voice for a very long time, but at this moment he changes his life. But there is a message of hope – even if you are in the condition you are in because of your choices, it is possible to change, to make other choices, to get things right in your life. To learn from the past and to take path in life, even if late in life. 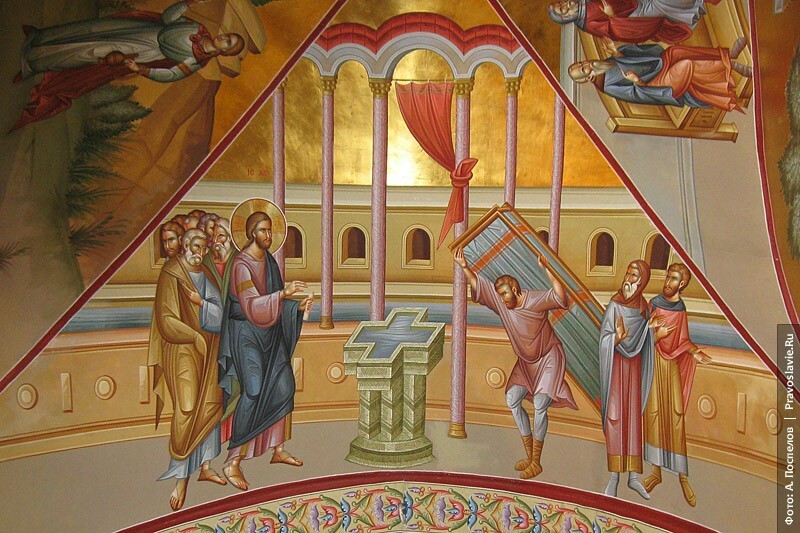 Jesus asks us as he asked the paralytic 2000 years ago, do you want to be made well? Are you willing to make the spiritual changes in your life to start on a new path – to start life over again? Are you willing to listen to the voice of God and walk in His ways? Are you willing to change, or make the changes necessary for a new life? Do I want to give up my grudges, when I have not yet gotten vengeance on those who hurt me? Do I want to give up my righteous anger, when I have not vindicated? When I have not yet been validated by others recognizing the righteousness of my case? Do I want to give up the pains, sorrows and excuses for my behavior? Or do I want to hold on to them because they help me justify my behavior? Do I want to give up my lusts and desires? Or perhaps like St. Augustine I want to say, “Deliver me, O Lord, from my sexual lusts, but not just yet for I still enjoy them”? We are human beings, we do have free will, free choice and personal responsibility. In any given situation we can rise above our biologically determined desires and say no to our self. We can choose a behavior, a morality, we can refuse to do something we feel driven to do – whether by hormones or emotions. 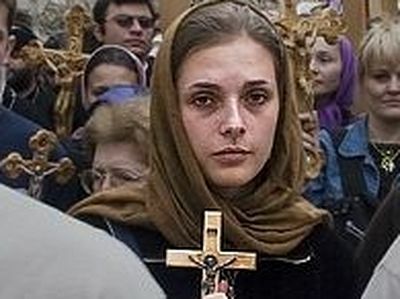 The attitude of that psychologist fits well into Orthodox spirituality which sees us humans as being specially gifted by God precisely to rise up above our animal nature. It doesn’t deny that we have animal desires, instincts, genetics. It just says but God has blessed us with hearts and minds that can choose to rise above the limits of our animal nature. We are indeed dealt some things in life – our genes or even our epi-genetic make-up, the time and place of our birth, the family we are raised in. We have no control over these things and they do influence our lives. However, our situations in life are not completely determined by external conditions, they also result from our character, courage, morality, values, life-style and choices. It is possible for us to change many things about ourselves and the choices we make. Each of these are telling us to change, to become what we are not yet. Each is a call to be courageous enough to be human – rise above your instincts, your desires, your DNA and become what God created every human to be – God like. We, like the paralytic, need to hear God’s voice, recognize it as God’s, and to walk in His ways. 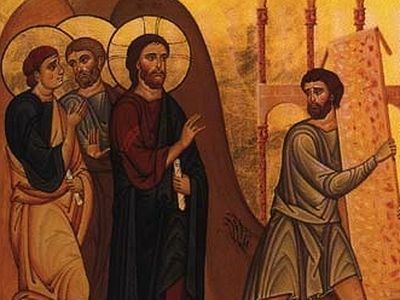 On this day, the fourth Sunday after Pascha, we commemorate the paralytic who was healed by the Lord, and we celebrate this as a miracle of our Lord God and Savior Jesus Christ. What is life without the forgiveness of sins? Fr. James Guirguis What is life without the forgiveness of sins? The possessor of a strong will enters the kingdom of heaven much quicker than the spineless slave to passions and bad habits. The weak man, though, is easily charmed by evil, and having no weaponry, no will of his own, he falls helplessly into the nets of the enemy. Humans are for sale at two cents the dozen in every corner of the world. It's men what Christ calls us back to be again.